To recall, see the video recap of the tryout here. 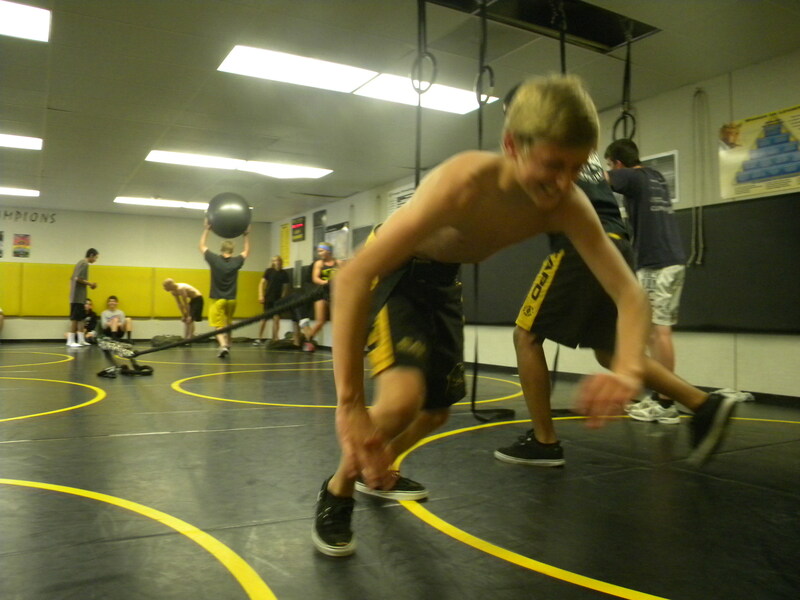 Roughly 30 first year wrestlers have gone through and completed the three workouts thus far. Capo wrestlers, cherish those shirts: you earned them. Also, those who made the 6x or 1000 lb club received their shirts this week too. Geoff Mellor, Phillip O’shea, Jonny Gutierrez, Mike Davis, and Jose Sarabia all lifted 6x their bodyweight or more OR 1000 lbs in four lifts combined: bench, squat, power clean, and deadlift. Good job! 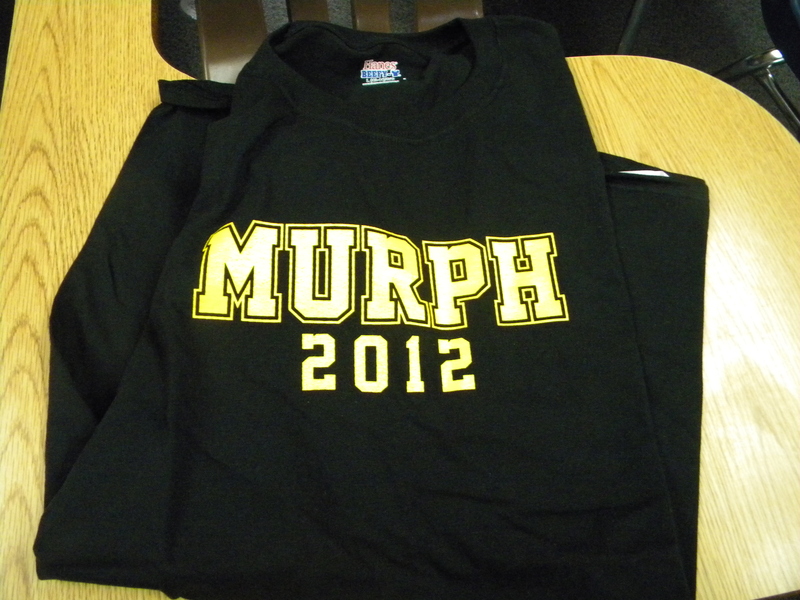 These shirts were made possible through fundraising and donation, so we have the parents and families to thank. Yep, some of their reps are sheisty. We’re working on that. Due to your hard work and due to a fundraiser hosted by Orange Coast Crossfit, the wrestling team was recently able to purchase some new strength and conditioning equipment. This has been a multi-year project for us; every year we’ve added to our arsenal of strength equipment, in the hopes that in a year or two we will have a fully outfitted “facility” of equipment that can be used indoors or outdoors in a multitude of environments. The purpose for this is three fold: first and obviously, the equipment serves a physical and mental training purpose. With such tools we can enhance our training in an efficient manner, without worrying about running into scheduling issues associated with the weightroom (though we will still use the weightroom plenty). Secondly, it makes working out more interesting, varied, and fun, and hence “spices up” the strength routine. Thirdly, it is turning out to serve a recruiting function. 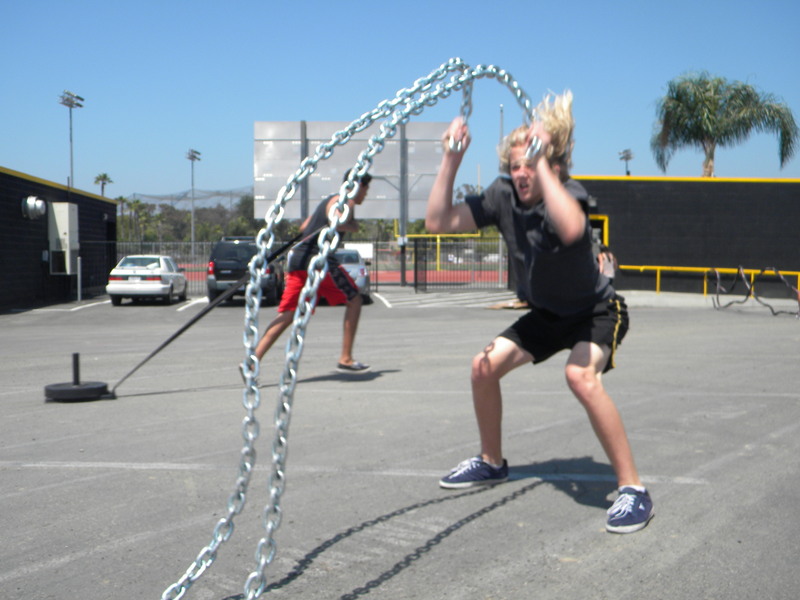 For example, conditioning with a 120 lb chain tends to draw interested eyes, for nowhere else will you see something like that. This ain’t the run of the mill circuit workout on the nautilus machines at 24 hr Fitness! Such can be said in regards to most of the things we do on the wrestling team, and the more people see this, the more interested in the sport they become. Needless to say, we greatly appreciate the hard work parents have put into this team (for the most part, the funds from our Big Kat Tournament aided in the purchase of this equipment), and we also want to give a HUGE thanks to OCCF. Without them this wouldn’t be possible. Our boys are now benefitting from the hard work and benevolence of many. Enough with the intro! The guys have been having fun with the equipment while working hard at the same time. Below are some pictures, along with a youtube video. Also in the pictures you’ll see two world class Crossfit athletes who recently stopped by to say hi and work out with us: Kristen Oyen, member of the Orange Coast Crossfit Regional Team, and Kenny Leverich, Crossfit Games Qualifier (you’ll see him in action on ESPN in late July!). It was a pleasure and privilege to have them work out with us! Andrew, doing a 75 lb weighted pullup..not gonna lie, the kid is strong. Coach’s wife: “why are you working out with the team?” Not joking…. 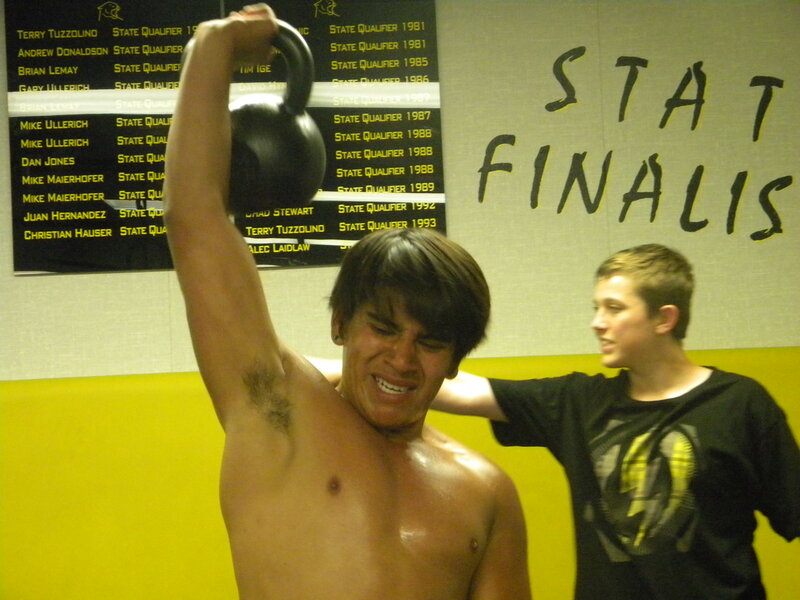 Jose S. doing KB snatches. Why *Poison* as the song artist, you ask? None. No reason needed to play Poison. Congrats to Andrew Peel for being a BEAST. What did he do to earn this title, you ask? Answer: he picked up a gauntlet coach Bordner threw down by completing the “squat ladder” in yesterday’s lifting session. The “squat ladder,” aka “Death by Squat,” is a very deceptive, yet very, very tough workout. The workout is an “every minute on the minute” workout. At the start of every minute on the clock, the participants perform a set number of squats. The workout starts with one squat the first minute, and increases by one in number every consecutive minute, all the way up to 40 minutes. The first ten minutes the participants do overhead squats. The second ten=front squats. Third ten=back squat. Finally, the last ten minutes are air squats. The whole thing is done with a 45 lb bar, and that is more than enough weight. For those that are wondering, that’s 820 squats. Andrew was the only wrestler to complete the ladder. Jonny Gutierrez was right behind him, tapping out at 35 minutes. This is a test of mental fortitude: how much pain can you withstand? How bad do you want it? 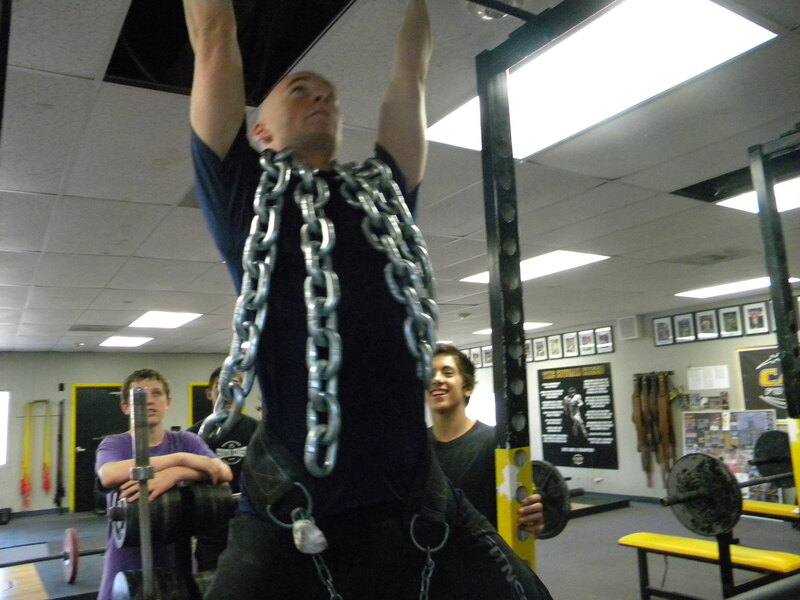 Though Andrew was the only one to complete the ladder, all but three wrestlers improved on the workout from the last time they did it ten weeks ago. Good job guys! In case you are wondering, yes, that is a gas mask in the picture. Some folks actually do their workouts while wearing a gas mask, kind of like wearing a weight vest while running. Freaky deekey. 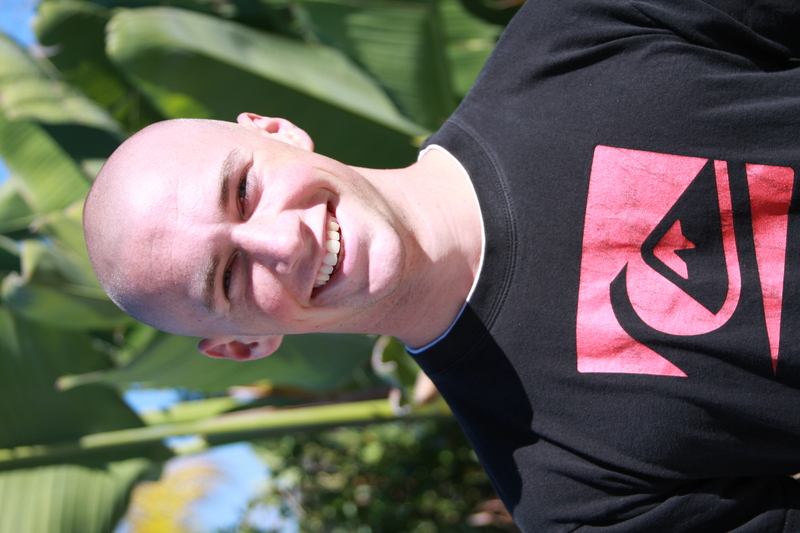 The OC Throwdonw is Orange County’s premier Crossfit event. It is a 2-day event and is absolutely insane. Some of the most beastly athletes in the nation will be competing. I will not give you credit for going to the first day, because that conflicts with Five Counties (an AWESOME wrestling tournament that the varsity guys will be competing in), and I want the younger guys to have an opportunity to both cheer on Capo and to see the great wrestling at 5 Co on Sat. 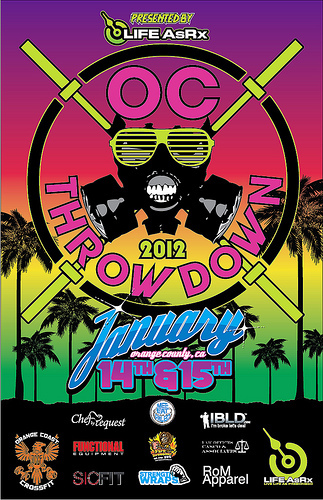 So: go to 5 Co. on Saturday, then attend the OC Throwdown on Sunday and do a write up for me. MAKE SURE TO BRING PROOF THAT YOU WERE THERE (ie, a picture). Doing both will get you some extra credit to help boost your grade. PS–the location of the OCTD is yet to be determined. It is supposed to be a “secret,” ie, held at an “underground” warehouse…somewhere. Go to the website often (linked above) for updates. They will post the location of the venue a week or two before the event. Here’s some footage of the recent tryout for the wrestling team. Fall sports guys try out Nov 28! If you are in a fall sport, transfer over as soon as you are released…don’t wait until Nov 28, because you need to train! Christian, Jericho, James, Nico, Mike, Jake, Jose, Corbin: good job. Gettin work done! Fun stuff.